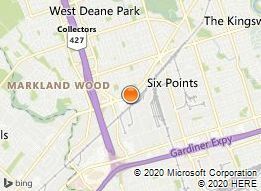 Islington Chrysler has been a fixture in the Etobicoke community since 1960. Under the leadership of Al Rams, he and his team have gained the highest recognition a dealership can attain in customer sales and service satisfaction. 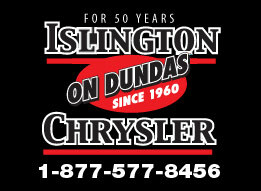 Islington Chrysler has become one of Chrysler’s Five Star dealerships; a recognition that ensures your vehicle buying process comprises of great service from knowledgeable and informative staff. Islington Chrysler makes certain their customers completely enjoy their overall experience through price, service and after-sale service. With an extensive pre-owned inventory for buyers of all tastes, we make certain our inventory is diverse with different makes, models and colours; All priced just right, so our customers always get a great deal.